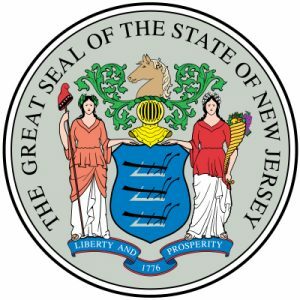 Sports Betting in New Jersey Sets Records during October! There’s no doubt about it, online casino and sports betting both dominate the market in New Jersey right now! As online casino saw a 31% annual increase and set the bar for most generated income for October. At the same time all that was going on, online sportsbooks were setting records of their own in New Jersey! On that note, let’s look into these exciting details! After all, these are good times in the Garden State and even more so for New Jersey bookmakers and online players! After examing the numbers released by the New Jersey gaming enforcement, it’s clear online sports betting is proving to be a game changer in Atlantic City. In fact, operators handled $260.7 Million in October alone! If you think about it, that’s over a quarter of a Billion dollars in one month! Furthermore, that’s a 41% increase from September and almost three times more than August! So without a doubt, online sports betting is experiencing a mini-boom! Or is it a major-boom? Well, let’s dig deeper into this report and answer that question! First, legalized sports betting has only been around for a few months. With that said, there’s not much in the record books yet. On that note, we must compare online and land-based revenue to find the answer. First, land-based retail sportsbooks in New Jersey handled $86.3 Million in October, which is quite impressive by all means. Although online sportsbooks saw $174.4 Million during the same month! That’s $58 Million more than 30 days ago! Now if that’s not considered a major boom, then we don’t know what is! In conclusion, online sports betting is gaining traction and popularity in New Jersey! Especially, for Resorts Digital, DraftKings, and BetStars. In fact, these three sportsbooks alone generated over $5 Million in October! So for the record, that represents almost three-quarters of the total share for all books combined! Not to mention, since June online sportsbooks handled over $597 Million of which, $301 Million came from online sources! That’s $52 Million in generated income! Now, based on those statistics, one can only imagine how much was won by players! So to wrap things up, it’s safe to say a new era in New Jersey has arrived!